SF082CS Combination Fire Safe is rated 4.5 out of 5 by 39. 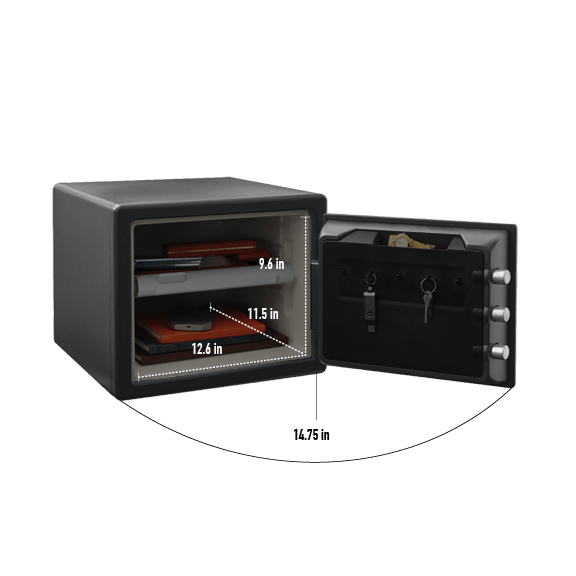 The Combination Fire Safe SF082CS is designed to protect documents, digital media and other valuables from fire and theft. 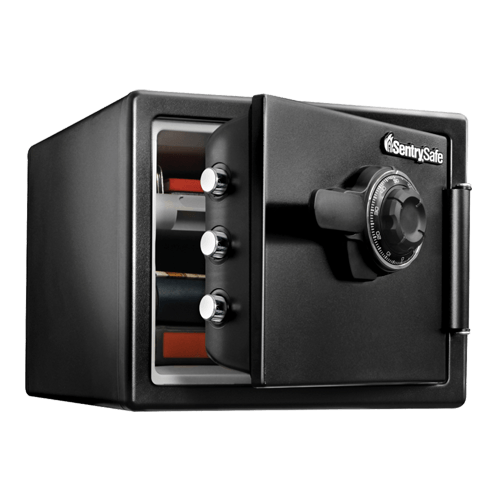 With 60% bigger bolts than traditional safes and a pry-resistant hinge bar, this safe provides the additional security you need. Rated 5 out of 5 by TNLadyTrucker from Just the right size safe!! So far this safe is working perfectly for what I want it for!! Hubby had a little bit of trouble opening the first time but I was able to get it opened. It is a combination lock which I believe to be much better than digital, especially after I read the reviews on those. I'm not sure on how to change the combination yet as I've not read the owner's manual yet. But it's perfect for paperwork, cash and small firearms/ammo. No it's not real big inside but it's perfect for us. Rated 3 out of 5 by Frank C from Meets my needs Safe looks good. The handle is a little cheap and flimsy. The combination wheel is very noisy. Wish it was easier to floor/wall mount. No predrilled holes. Rated 4 out of 5 by JohnnyBGood from Good Value The safe is fire rated and met my needs regarding space. Plenty big for important papers and some jewelry or small valuables. I'm a little disappointed with the lock mechanism which seems a bit loose. The safe is not crazy heavy but not something easily removed either. Not a bad value for the price.